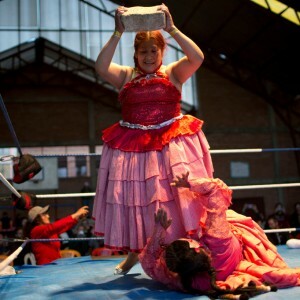 Veteran cholita wrestler Jennifer Dos Caras, 45, competes in the ring with Randy Four in El Alto, Bolivia, Jan. 21, 2019. 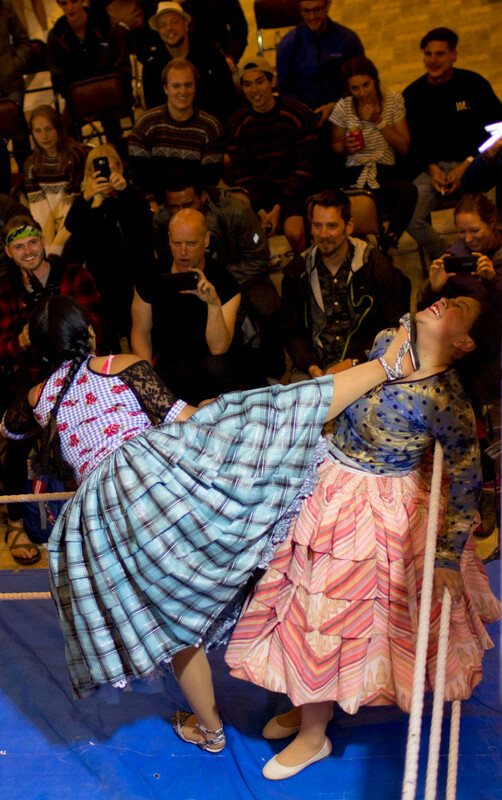 The sport, known by the English-derived name catchascan, has delighted foreign tourists and photographers for years while building a sense of pride among indigenous women. 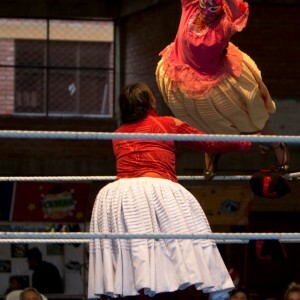 A new generation of about 50 young women like Dona Chevas, 16, are training at three schools to take up the sport. 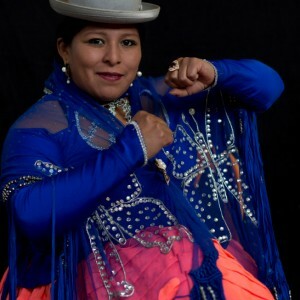 "The girls who want to do this sport have to have guts, will, because this is a sport that demands a lot of discipline," said Leydi Huanca, 29, whose real name is Reyna Torrez. 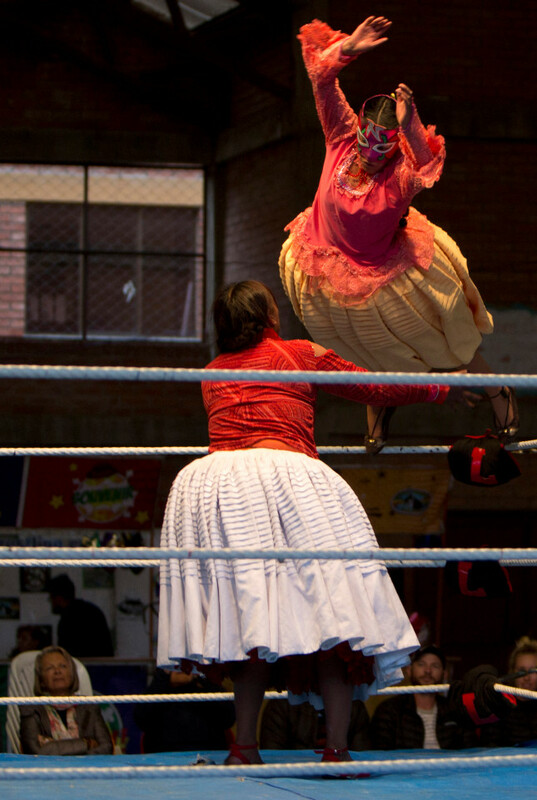 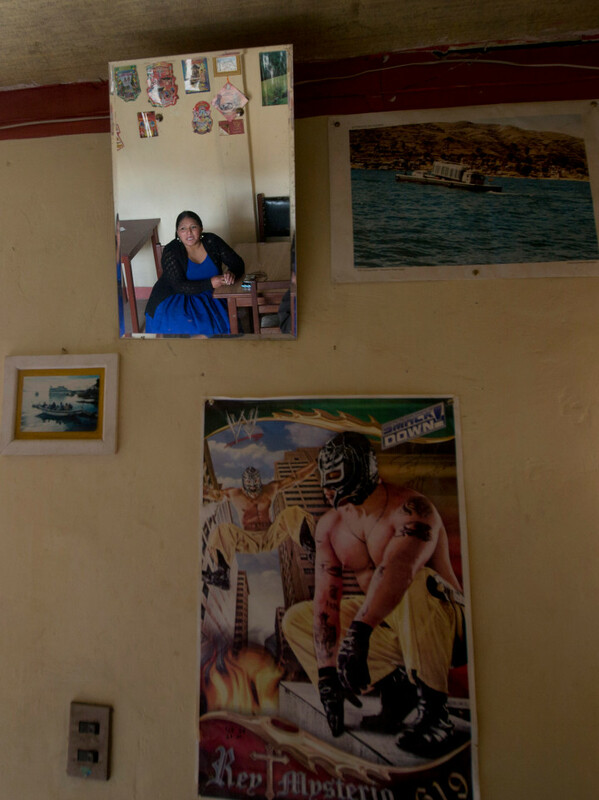 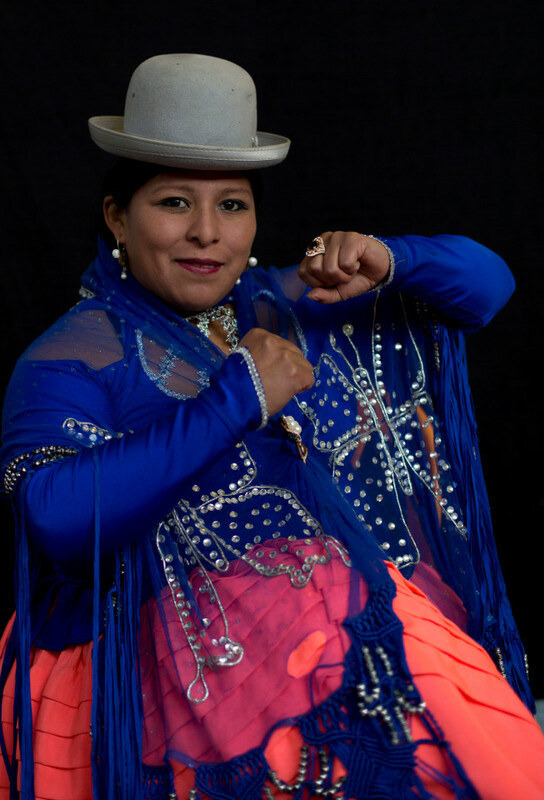 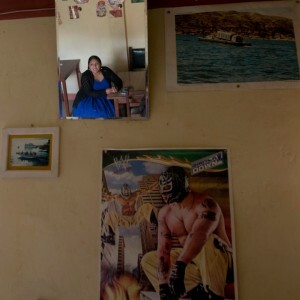 "I love those leaps of Reyna, and it's a dream that she's teaching us," said 17-year-old Nieves Laura Tarqui, who wrestles as Nelly Pankarita, a last name that means "Little Flower" in Aymara. 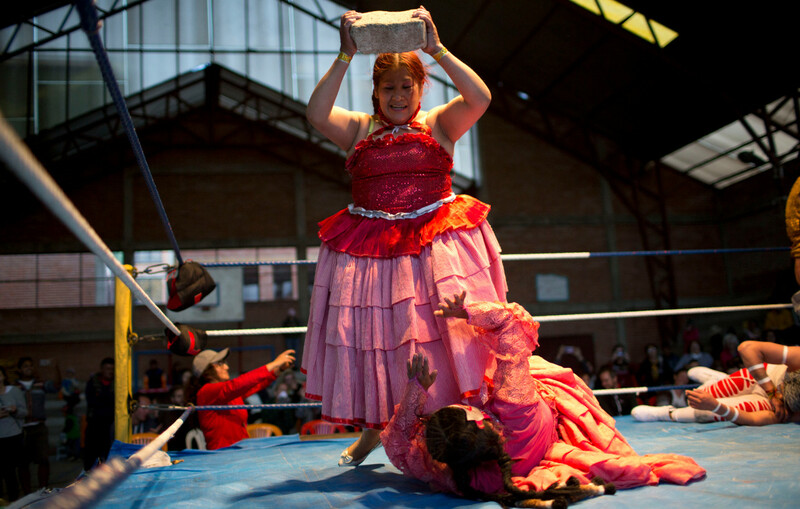 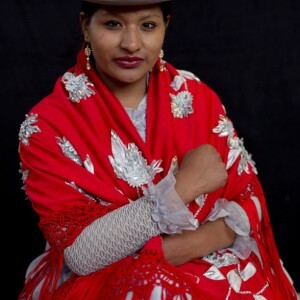 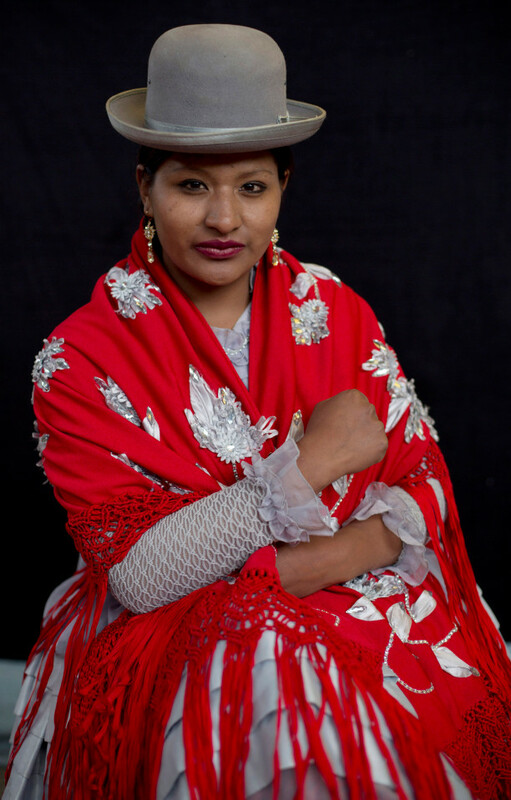 Young cholita wrestler Dona Chevas strikes a pose for a portrait before competing in the ring in El Alto, Bolivia, Sunday, Feb. 10, 2019.